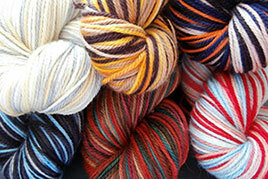 Looking for an outdoor experience for the whole family? There’s nothing better than spending a day on a beautiful wilderness river. Whitewater rafting isn’t just for hard-core adventure seekers. 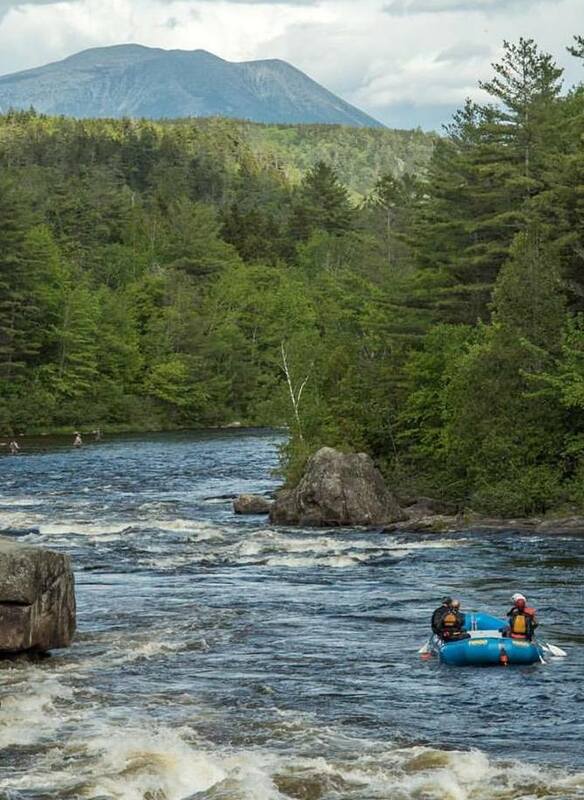 Families with kids from ages 4-14 and older can experience an epic day on the West Branch of the Penobscot River, near Millinocket and the new Katahdin National Monument. 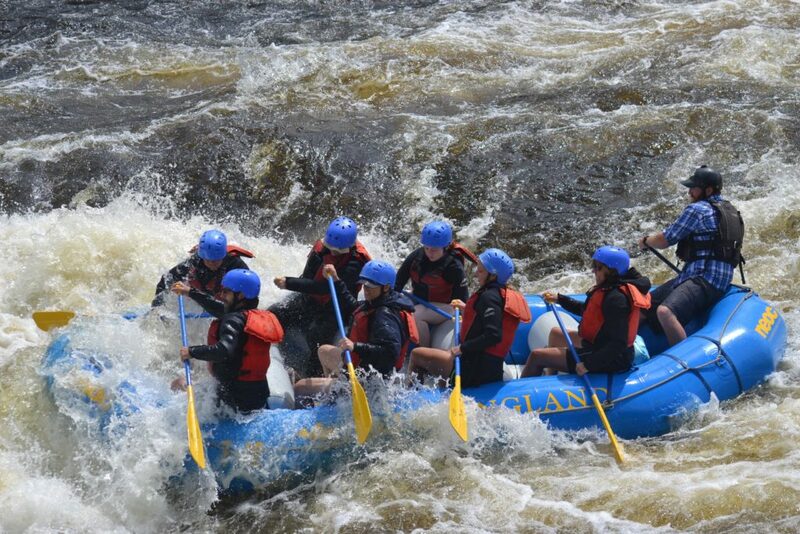 The Lower River Experience (Ages 12+ 5 rapids class II-IV routes 5 rapids). 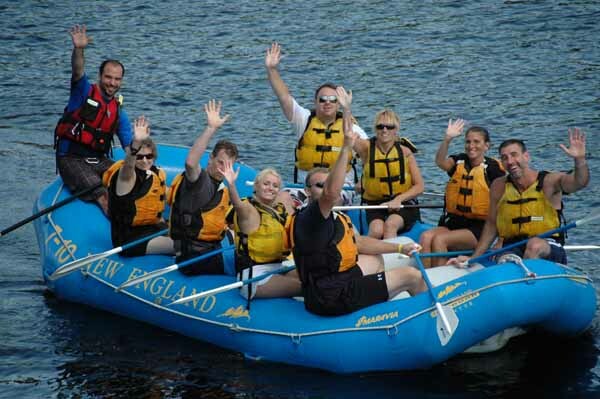 A day of family whitewater rafting begins at 9 AM with a check-in at Penobscot Outdoor Center Campground & Rafting Base. Here, we fill out some simple paperwork, rent wetsuits, receive safety gear, and hear a safety orientation from the trip leader. Then we assign raft guides for the day. Getting to know your raft guide is one of the best parts of the river experience. 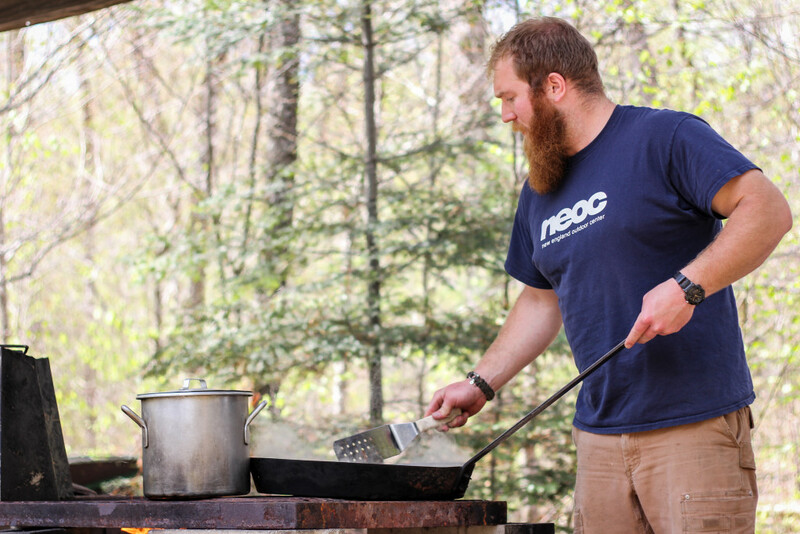 NEOC boasts a core staff of some of the most experienced guides on the West Branch! On the bus ride to the “put-in” river guides will answer your questions, point out the sights, and provide some shenanigans to make the morning fun. 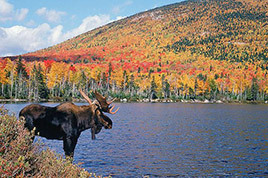 It’s not uncommon to see wildlife, such as moose, along the way. Once at the “put in” we carry our rafts to the river, go to a short “paddling school,” and learn to work as team. Family Float rafters will opt out of this section altogether, but they can enjoy the benefits of seeing a Class III-IV waterfall without all the drama and the huge waves. Soft Adventure seekers will experience this section of the river, taking an easier Class III route called Fisherman’s Drop-an easy, gentle sloping ledge. Lower River Experience rafters will run the class IV “Raft Line,” a sloping 12-foot drop with an 8-foot crashing wave at the bottom. Whatever route your family takes, everyone gets to enjoy the benefits of being at a gorgeous Class IV waterfall and taking in one of the river’s most beautiful locations. Departing from Nesowadenahunk Falls, it’s time for some exploring. We will check out the “Cave of Wonder,” surf some waves, and pass through a 100-yard Class I rapid. Then we head to a section of the river where beautiful Nesowadenahunk Stream enters into the Penobscot River. This spectacular spot features a smooth ledge waterslide, where kids and adults can get out of the rafts and play in the water (at appropriate water levels). Then, we get back into our rafts and paddle a bit of flatwater toward our lunch site. The riverside BBQ is one of the highlights of the rafting day. Guests choose between a steak, BBQ chicken breast, vegan burger patty, or beef kosher hot dog. There’s also our famous river rice, coleslaw, and a cookie! To drink, we offer ice-tea, water, and hot cocoa. Our entire menu, with the exception of the cookie, is gluten free. Many families take the lunch break to relax, enjoy the scenery, and maybe even take a swim. 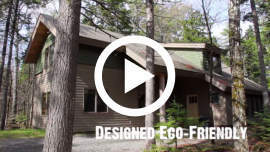 Once we’ve enjoyed our riverside lunch, we float three beautiful miles of flatwater, voluntarily swimming along the way, occasionally spotting eagles, and taking in amazing views of the south face of Katahdin, Maine’s highest mountain. 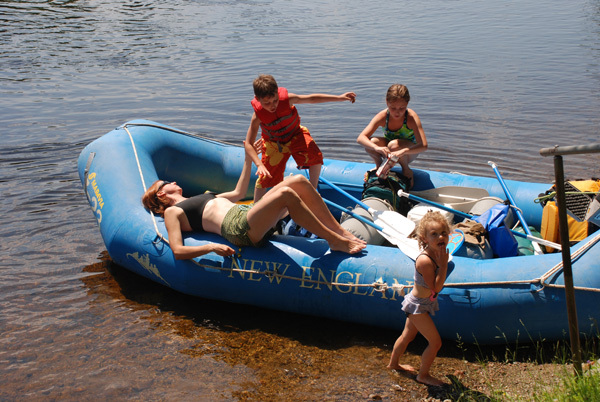 The Family Float ends at beautiful Abol Bridge where guests depart, but the Soft Adventure and The Lower River Experience continues on. Paddling onward, the river narrows and begins to descend. Rounding a bend, the river seems to disappear. This so-called “horizon line” marks the start of Big Abol Falls, a Class III rapid. We paddle down through 6-8-foot crashing waves, avoid some holes, and celebrate at the bottom. Next, after about a half mile of flatwater, we’re into Class II Little Pockwockamus, some quick navigation, and into the class III and IV lines of Big Pockwockamus. “Big Poc” is about 250 yards long, with big crashing waves, churning holes, and an opportunity to swim through the waves at the bottom. The day ends around a quarter mile later, where we take out our rafts, carry them to the truck and head back to base.